Kerala High Court Organization has given the Kerala High Court Assistant Syllabus @ hckrecruitment.nic.in for the sake of Preparation Process for the candidate’s Purpose on their Official Website. All the Applicants are now able to get the Kerala High Court Assistant Exam Pattern Pdf with the free of Cost. Hello Applicants !!! we brought the good news for the contenders that, Kerala High Court Assistant Syllabus is download here and can start the Practise sessions. 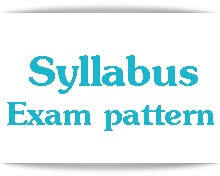 The Syllabus will play the major role at the time of candidates Preparation Process. Because if once they get the Correct Kerala High Court Grade III Syllabus, then will easily try to qualify for the examination. Kerala High Court Assistant Syllabus is issued here for those candidates who have successfully furnished all the Details in the Kerela High Court Application Forms within the Last date. Because we know that only the Application filled Candidates will only search and download the Kerala High Court Assistant Syllabus for the sake of groundwork for the Exam Purpose. Because the only groundwork will help the candidates to score the maximum marks in the examination. To know the Better Details, candidates can visit out @ recruitmentindia.in page. The Kerala High Court Assistant Exam Pattern PDF Details will be Handover here and the explanation will also establish here for the candidates Easily Understandable Purpose. The Exam Question Paper will contains the Objective Test with 75 minutes duration to be answered in OMR Answer Sheet consists of 3 Sections with marks shown against each (Total 100 marks) and having the (a) General English – 30 marks, (b) General Knowledge – 50 marks and (c) basic Mathematics – 20 marks. Each question will carry 1 mark. For every incorrect answer, 1/3 mark will be deducted. And the Descriptive Test with 30 minutes duration (40 Marks) to be written on separate answer sheets consists of precis, letter writing an essay. So follow the Kerala High Court Assistant Exam Pattern for the Exam. Modern Indian History with a focus on National Movement. Top make the candidates Preparation easy manner, we are also giving the Preparation tips along with the Kerala High Court Grade III Syllabus @ hckrecruitment.nic.in. The candidates who are seriously going through this exam they needed to make the perfect Schedule for the Exam and for every day they have to Prepare for the Exam with some Important Topics, By this, the contenders are able to cover all the Concerned Topics in the Kerala High Court Grade III Exam Pattern which will be helpful to score the Highest marks in the exam. To get the Latest Employment News, Visit Our Page. In the @ hckrecruitment.nic.in Assistant Syllabus, We have Given the Topics with mentioning of the Sub topics also. So that, by referring these concerned Topics in the Syllabus, the Candidates will easily crack the Examination in an easier manner. Considering all the Topics in the Kerala High Court Grade III Syllabus, the applicants are able to solve any type of difficult Question in an Easy manner. By this, the Candidates will able to attempt the more Number of Questions which gives the Output to score the Maximum Marks in the Examination.